INDUSTRY.co.id - Jakarta - The national supermarket chain Superlndo, which is widely known, trusted and has a strong brand in the community, is offering a franchise opportunity for a compact supermarket called Super Indo Express in the International Franchise, License & Business Concept Expo & Conference or The 16 "IFRA 2018 at Assembly Hall Jakarta Convention Center, Central Jakarta. General Manager of Franchise PT. 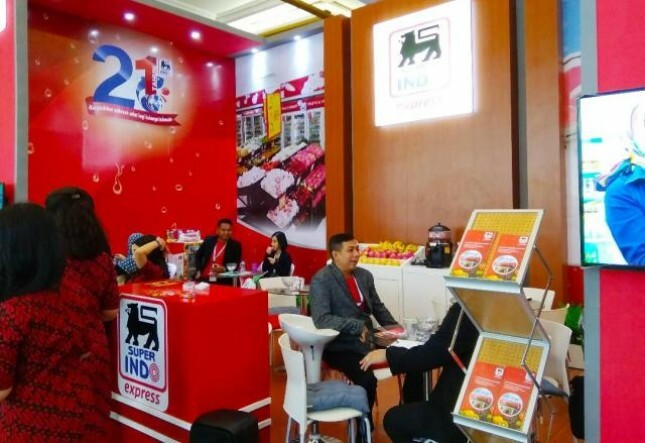 Lion Super Indo, Eric Rinaldo Syah explained, Super Indo Express launched to local investors and SMEs can be part of the supermarket business in the country. "To have a Super Indo Express franchise, the franchisee only needs to set aside Rp 2 billion, and the building in a strategic location of approximately 500 square meters," said Eric at the IFRA 2018 exhibition to INDUSTRY.co.id, Saturday (21/7) ). Furthermore, Super Indo team will make the necessary preparations ranging from site survey, design, building development to layout arrangement and preparation of opening outlets. The investments include Super Indo supermarket-operated supermarket operational and operational systems. "Retail businesses, especially groceries, promise stable returns and are able to survive in a dynamic economic situation, no doubt targeting break event points (BEP) can be achieved within 5 years," he said. Moreover Super Indo Express fully adopts Super Indo's proven supply chain system that has been tested for over 2 decades with an excellent reputation. For information, Super Indo has been established since 1997. Super Indo grow and develop with the people of Indonesia. Now, Super Indonesia has selected 155 outlets spread across 38 cities and districts in Java and Sumatera. And 5 supermarket franchises with Super Indo Express brand located in Tangerang, Bekasi and Depok.